Today I have good news for you. 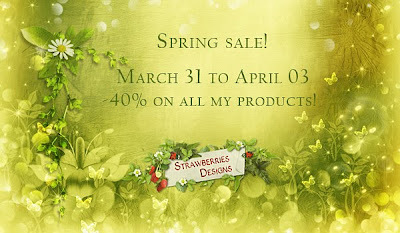 All my products are on 40% off Sale till 3th of April. In my shop you can find pretty papers for commercial use, beautiful kits and more.